Are you looking for a restaurant in Auckland? We'd like to welcome you back to the new and improved Malt! Since our new ownership in 2015 we have made improvements, and we're not done yet in fact, we're just getting started. We have some exciting things planned, but we value your opinion. So come in, check it out, and tell us. We are located in the heart of Greenhithe on the North Shore, we are a family friendly restaurant with a great outdoors area, covered outdoor seating, superb wine list, and a wood fired pizza oven. Come relax with friends and family over a few cold ones and a delicious meal. We welcome kids and have a special menu just for them, and they can eat for free on Wednesday night. We have board games, pool table, and a Gaming Lounge for those who are over 18. Want to make a night of it? We have quiz night from 7.30pm every Monday, and on the first Friday of every month we have karaoke. We provide a gourmet takeaway pizza if you do not have time to relax and enjoy our restaurant. If you have a gluten free diet let us know! Please keep us in mind as a venue for any special events we can do our best to accommodate any request. 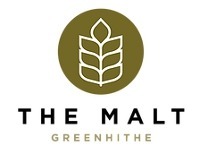 Come and visit The Malt Greenhithe today!